What is the Memory Tracker for Mac? 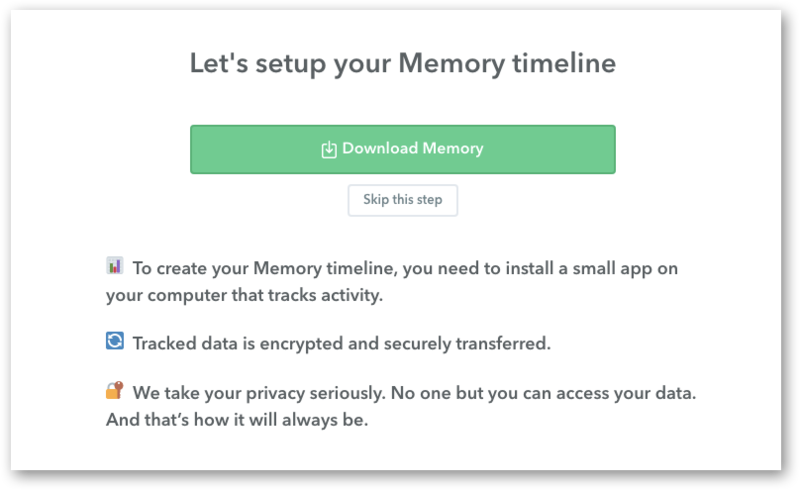 The Memory tracker is an automatic time tracking tool that records everything you work on to a beautiful private timeline. It captures the files you've worked on, websites you've visited on your computer, events you've attended, and places you've visited. It works automatically in the background while you work, so you don't have to track any time yourself. By capturing everything you do, you get a complete picture of what you work on each day. How do I set up the Memory Tracker for Mac? 1.) 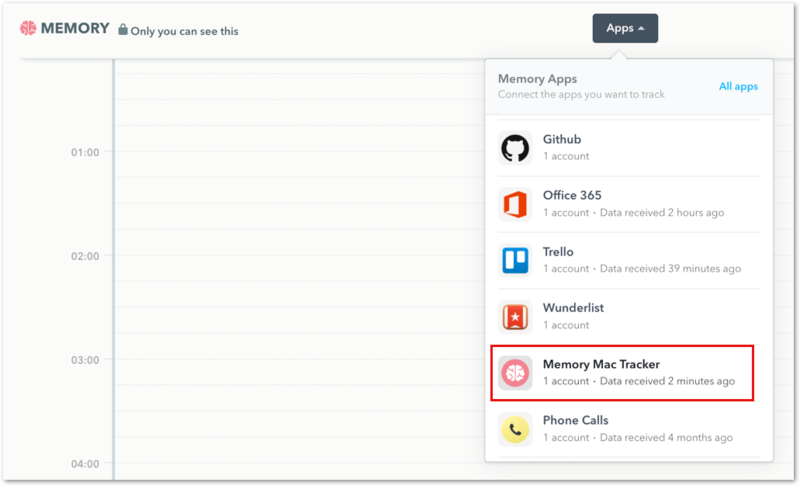 When creating your account for the first time, you'll be prompted to download the Memory Mac Tracker. Just click on the big, green Download Memory button. 2.) If you didn't install Memory when creating your account, don't worry. Just head to your Memory Timeline, click on the Memory Apps dropdown menu and select the Memory Mac Tracker. 3. Alternatively, download the tracker from the Accounts tab – just select the Download Memory Tracker link. Once you've downloaded the tracker, save the zip file & add the Memory Mac Tracker to your Applications folder. It will show up in your menu bar; just sign in with your Timely account e-mail. Then just turn tracking ON to start tracking all your work automatically. If you want to turn tracking off, just toggle the button back to the left. When the tracker is off, Timely doesn't collect any data. Just be sure to turn it back on when you need to track your hours! Select "Launch on Startup" so you never miss a billable hour again! We think it's a really great idea to have this selected. This way, you won't forget to turn your tracker on after restarting your computer! What apps can I use with Memory? 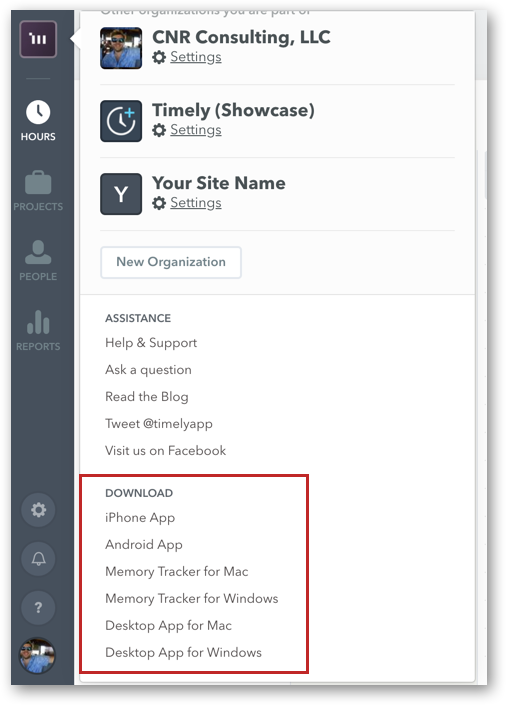 Memory can track time spent in any web or desktop app ever created. 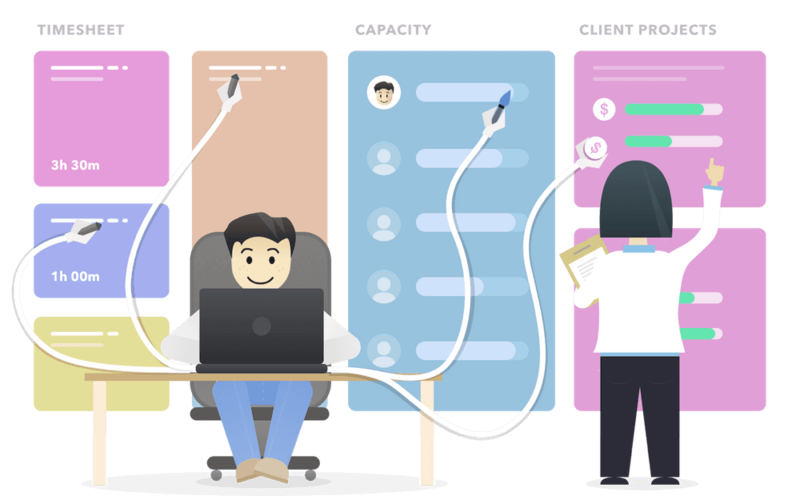 We also have bespoke integrations with Google Calendar, Office 365/Outlook Calendar, Gmail, Todoist, Trello, Asana, GitHub to capture a little more detail for your timesheets. Timely's GPS tracker for Android and iOS can also capture the time you spend in different locations.